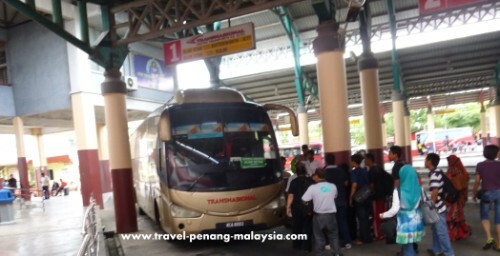 One way to travel from Penang to Alor Setar is by regular bus from Butterworth Bus Station (Penang Sentral). Or, there is a far more easier option that is quicker and cheaper, as you can now take one of the new regular KTM Komuter (commuter) train services from Butterworth Railway Station. There are now no old diesel Intercity Trains on the route between Butterworth and Alor Setar as all these old slow trains have been replaced by a new Komuter Train Service. 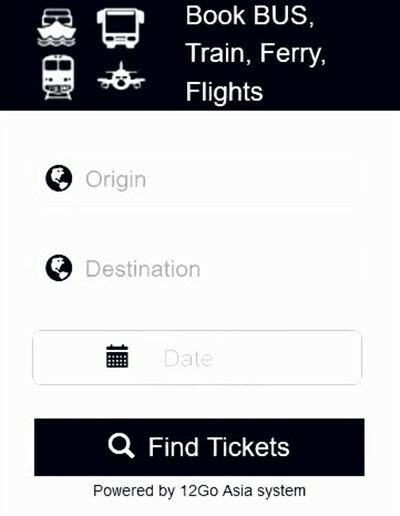 So now if you want to travel from to Alor Setar from Penang by train, there are many more services than there used to be. These KTM Komuter (commuter) trains leave every one or two hours apart and now the cheapest way to travel from Penang to Alor Setar. The train station in Alor Setar is within walking distance of the city centre and takes around 10 minutes. Konsortium Bas Ekspres bus company have regular bus services between the two cities that operate from 06.00 until 20.00 and depart every half an hour (on the hour and at 30 minutes past). Their buses have a three seats per row configuration (two plus one), so you get a good large comfortable seat for the trip. The distance between Alor Setar and Penang Sentral bus station at Butterworth is 93km and the trip takes around 1 hour and 30 minutes. 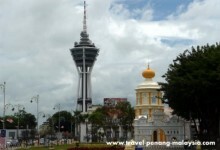 If you catch a bus that goes via the city centre, there are just a couple of stops once you get into Alor Setar. The first stop is at the junction of the road that goes off to Kuala Kedah for ferries to Langkawi, the second is right in the centre of the city. The bus then travels to the Alor Setar bus station (Terminal Bas Shahab Perdana) which is quite a few kilometres outside of the city centre. Please note - many buses also travel along the highway straight to the bus station without going into the city, so ask before you buy your tickets if you want to get off in the city centre, otherwise you will have to get a local bus to take you to the centre from the bus station. Another bus company you can try if the Konsortium Bas Ekspres bus to Alor Setar is full, is Plusliner. They operate about 3 times a day on their service from Butterworth Penang to Kuala Perlis and Pedang Beasr. If your plan is to stay in the Alor Setar to see the sights, the city centre bus stop is right around the corner from The Padang, which is Alor Setar's main tourist attraction. From Shahab Perdana bus station you can catch connecting local buses to towns further north of Kedah state and Perlis or intercity buses to most cities in peninsular Malaysia. You can also get a local bus to Kuala Kedah for the ferry to Langkawi from Kuala Kedah. 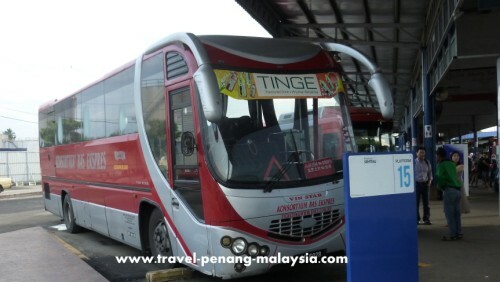 If you want to travel in the other direction from Alor Setar to Penang by bus, the best bus to catch is the Transnational bus. They depart from platform 1 at the Alor Setar bus station (Shahab Perdana). Buses depart every 30 to 45 minutes. This bus does not travel through the centre of town and goes straight out to the highway, so you will have to go to the bus station to catch it. This bus has smaller seats (two by two configuration) than the Konsortium Bas Ekspres bus, but the Konsortium bus does not return to Butterworth jetty. It only stops out on the highway on its way from Alor Setar to KL, so is not a good option. Again, another less regular bus is operated by Plusliner.